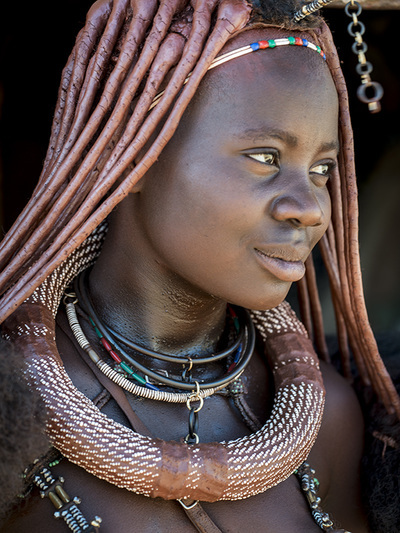 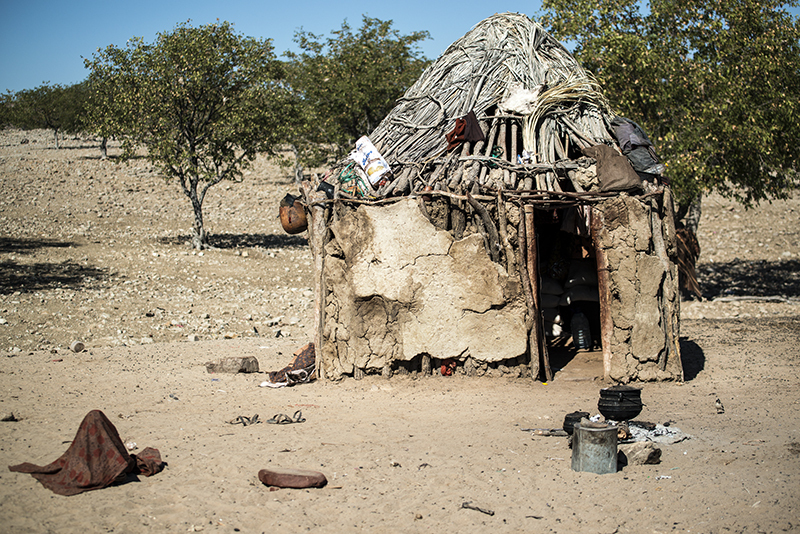 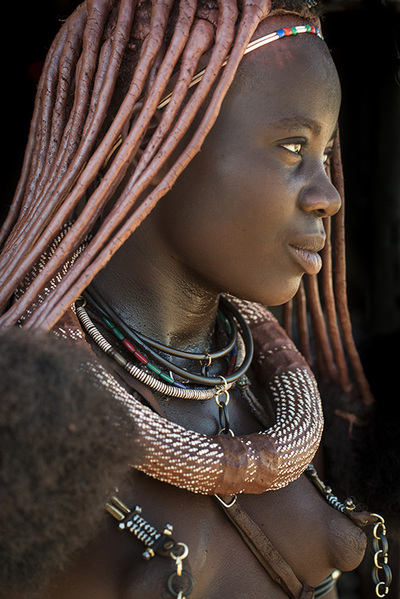 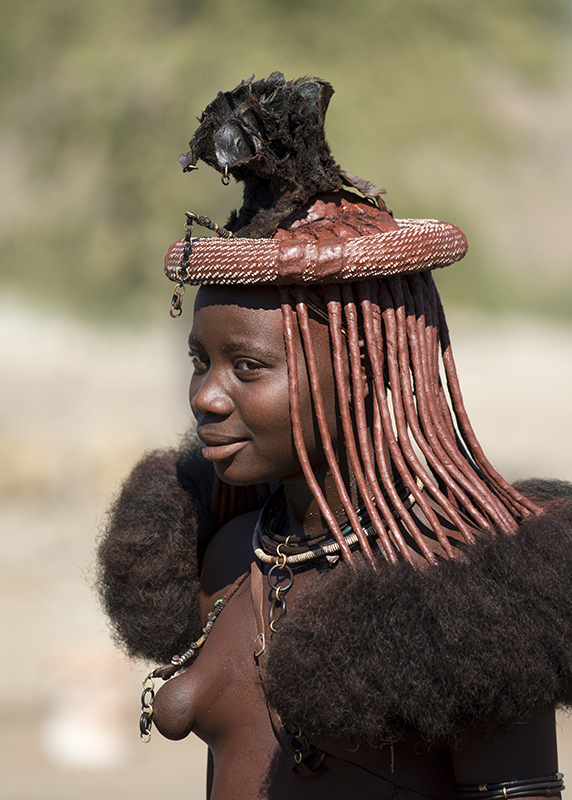 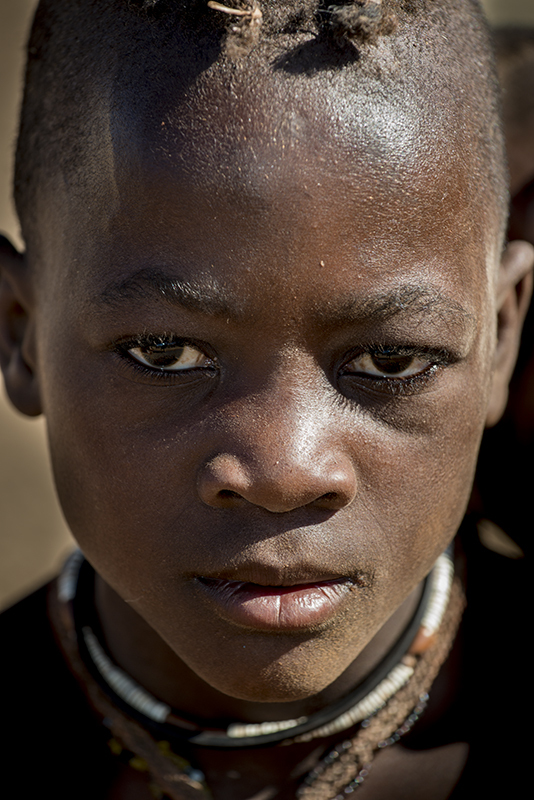 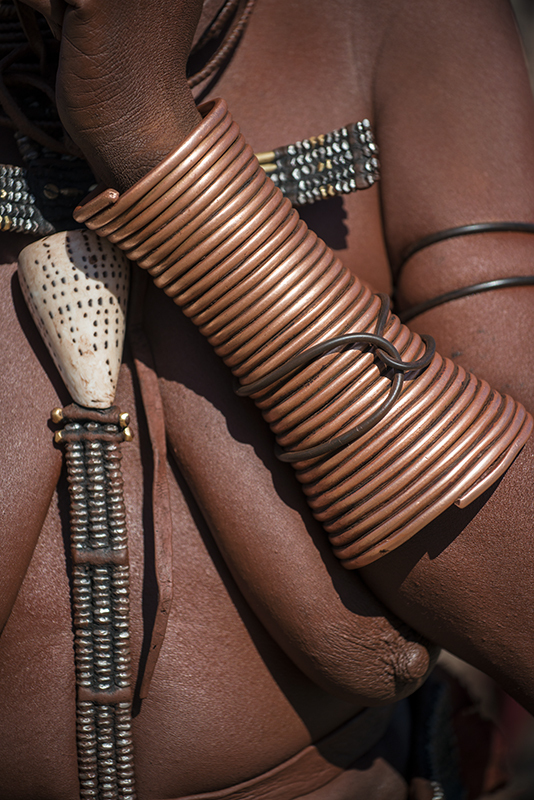 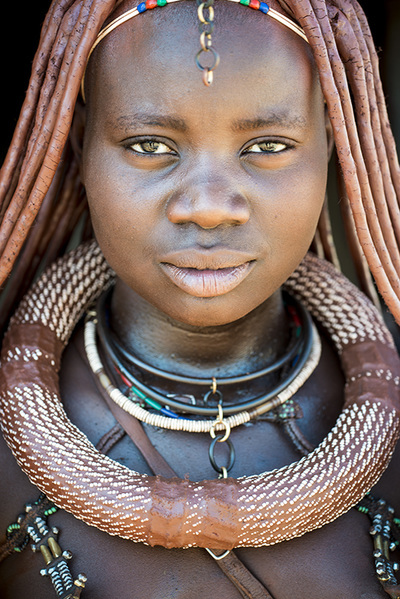 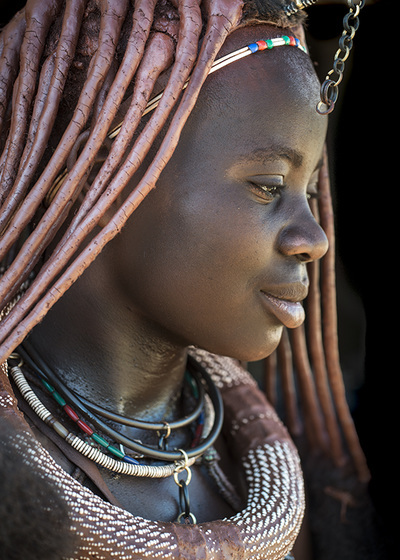 The Himba are a semi-nomadic tribal group located in the remote north west corner of Namibia. 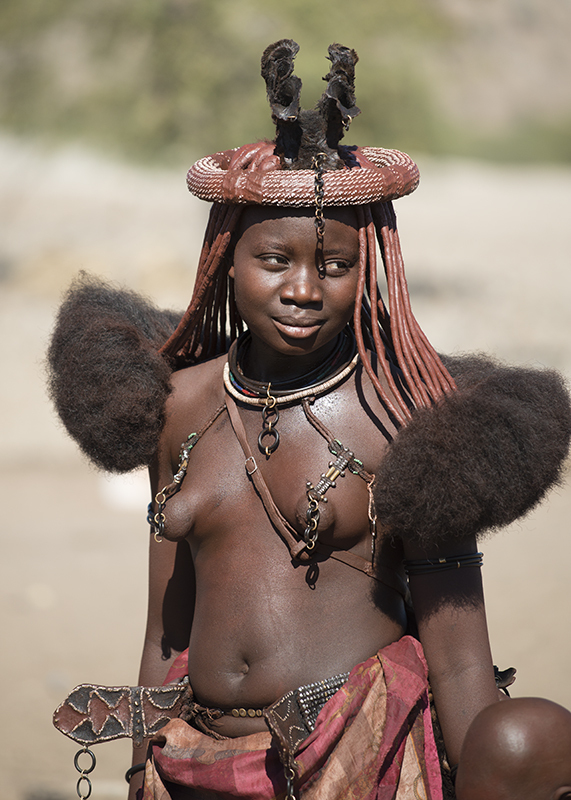 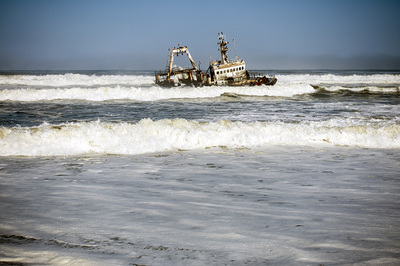 They have managed to maintain their cultural traditions and way of life, eschewing the modern world. The women still wear their traditional goat-skin mini-skirts, shell jewelry and cover their skin and hair with a mixture of butter, ash and ochre, which gives them a soft red coloration. 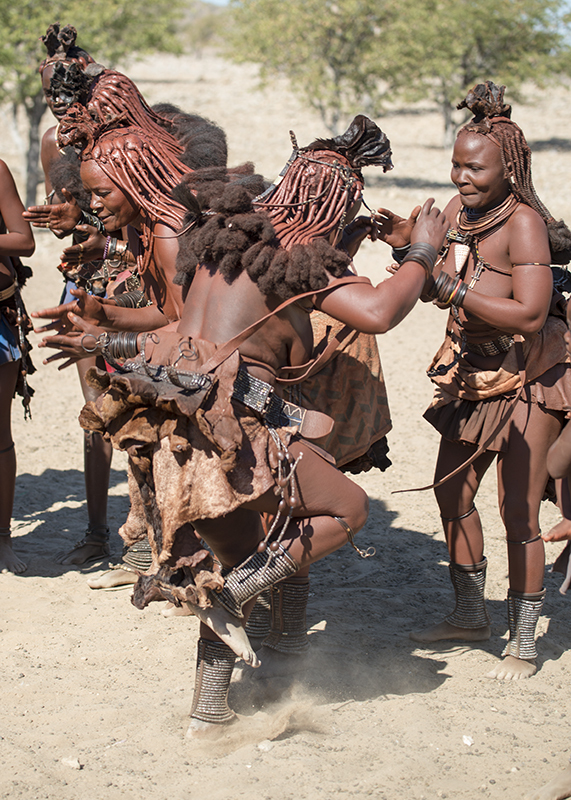 While we were visiting their tribe they performed a dance for us and then closed the circle and began dancing for themselves and had a wonderful time. 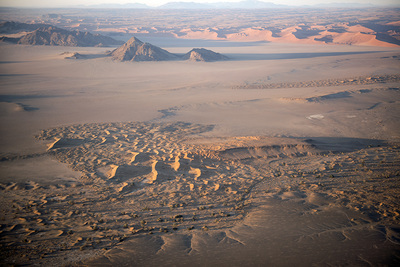 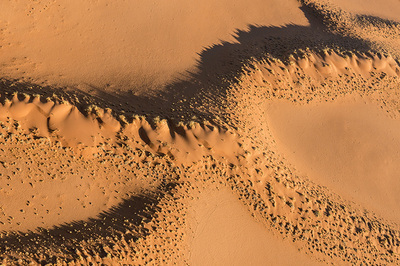 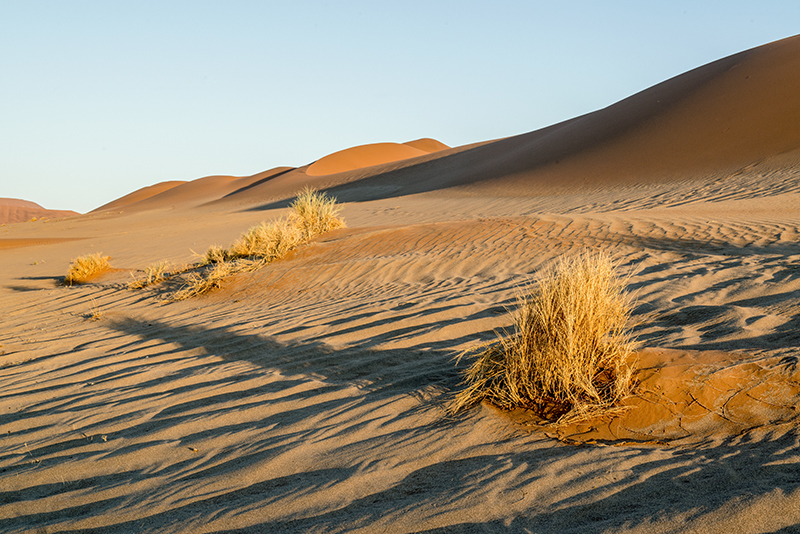 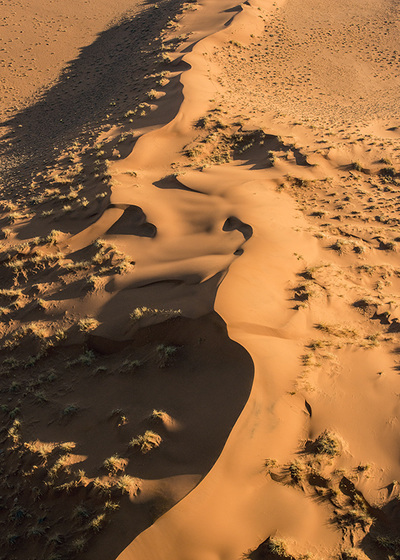 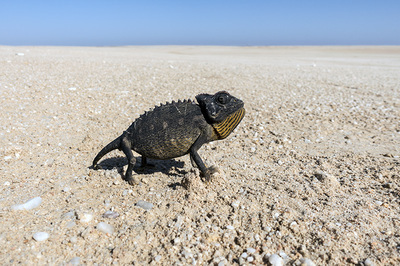 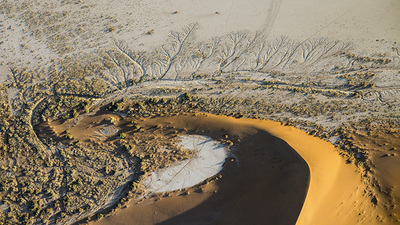 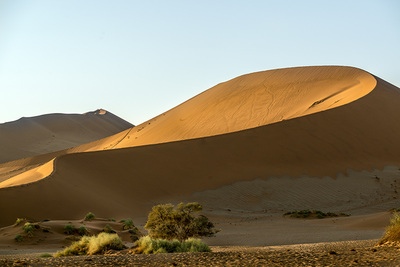 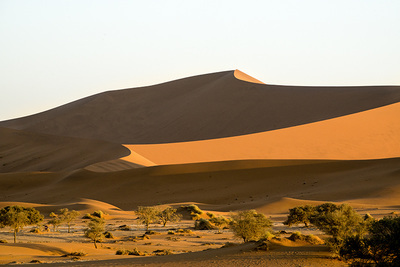 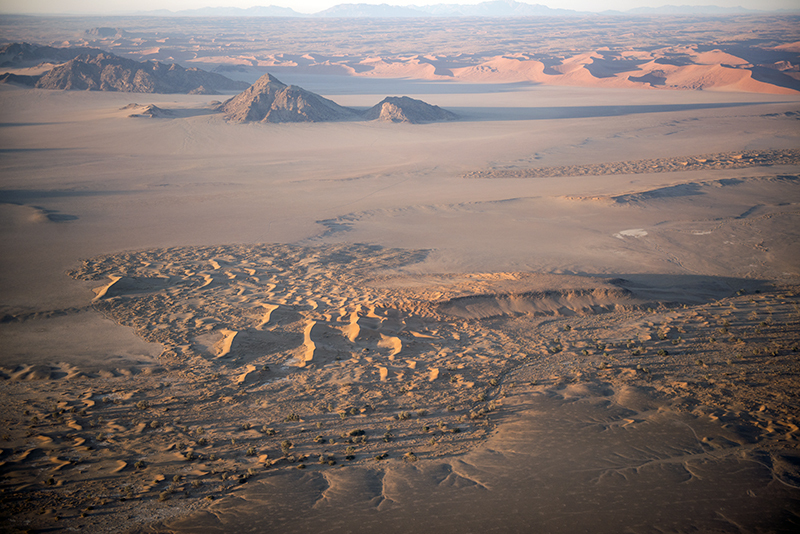 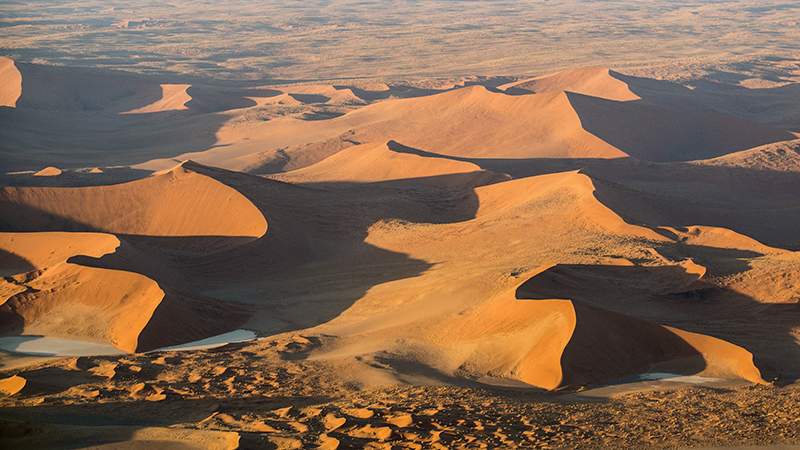 These sand dunes are located alongside the Sossusvlei clay pan and are some of the tallest in the world. 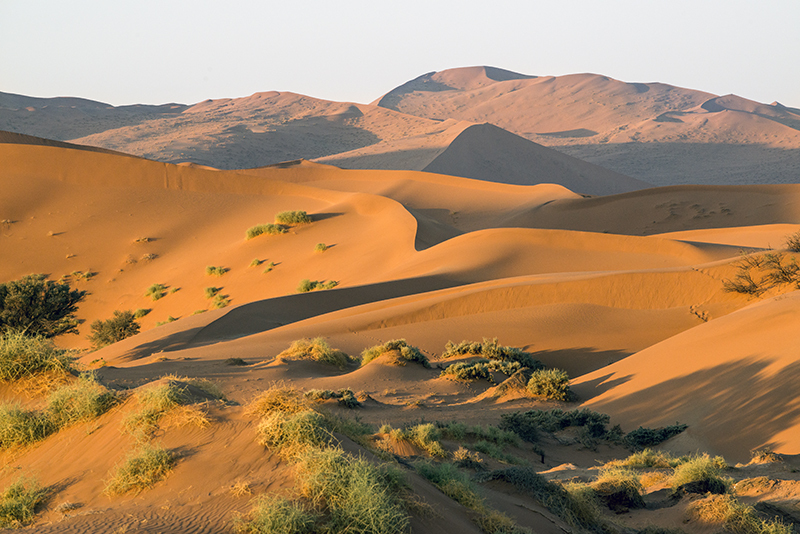 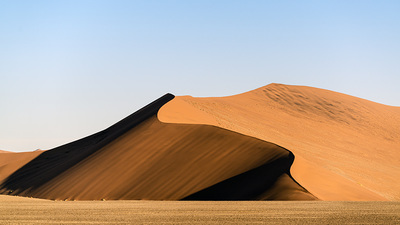 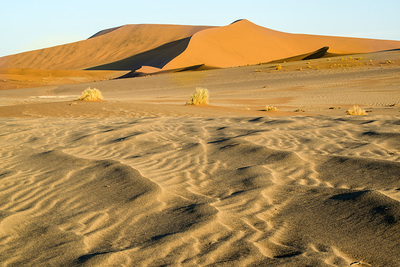 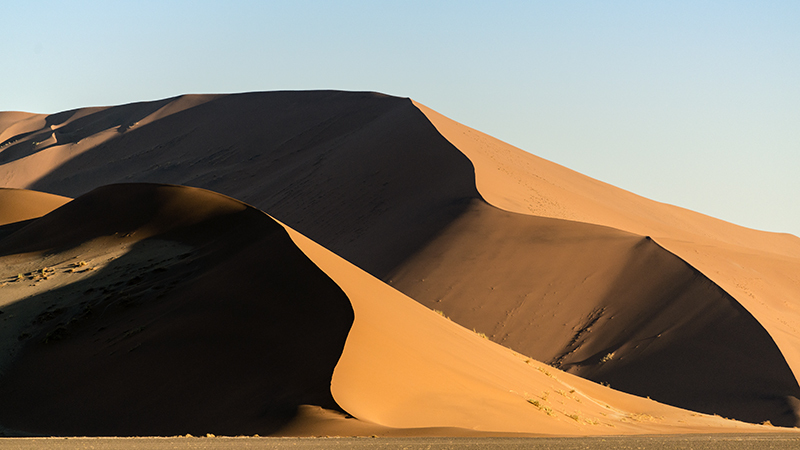 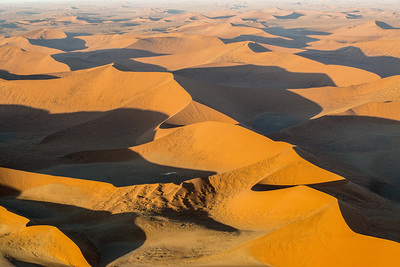 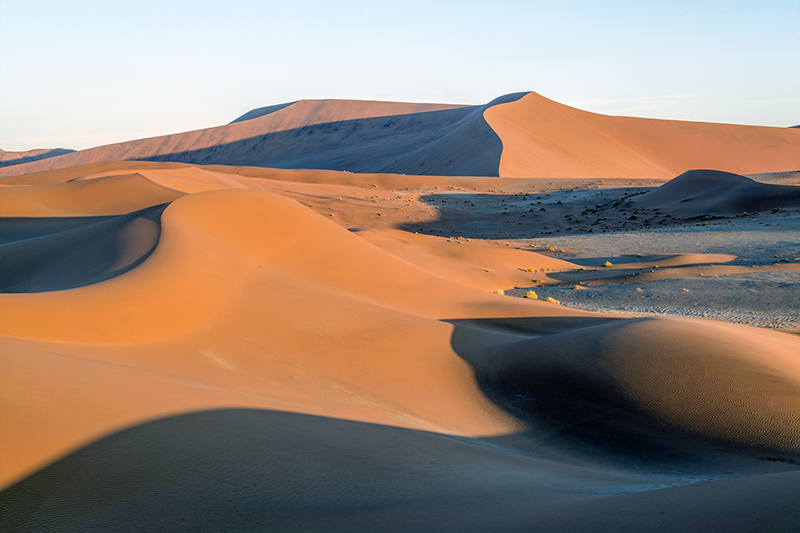 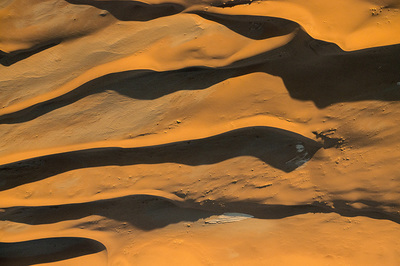 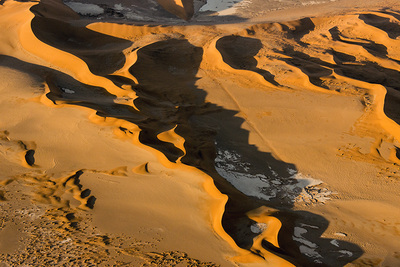 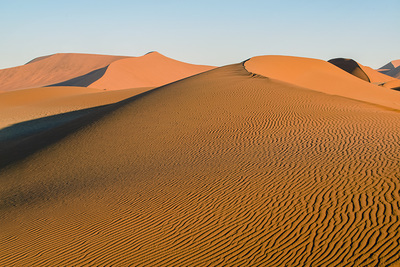 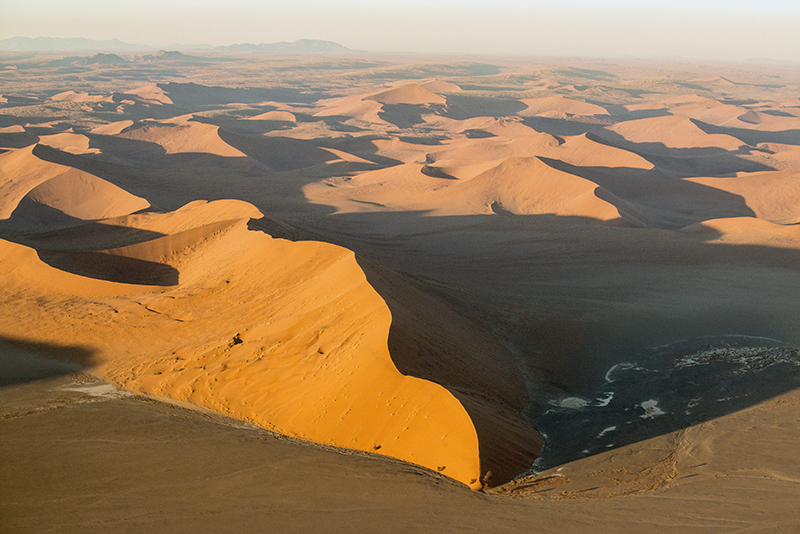 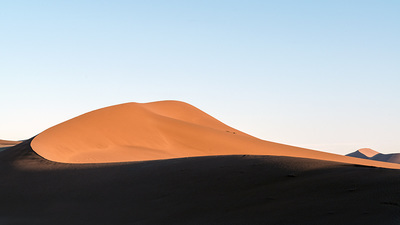 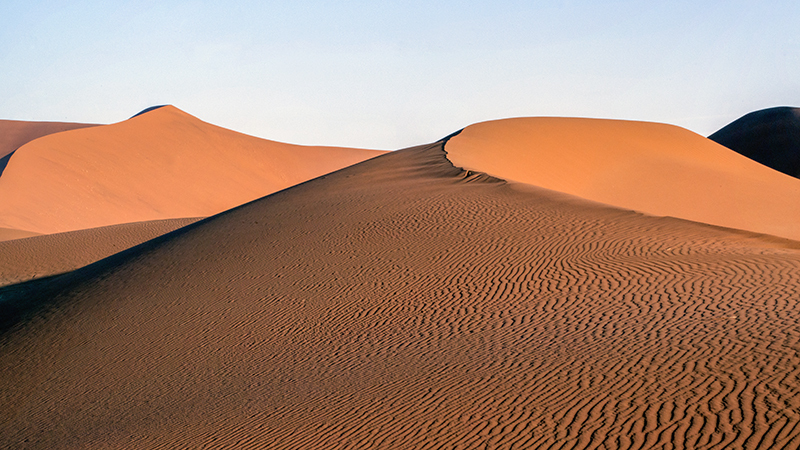 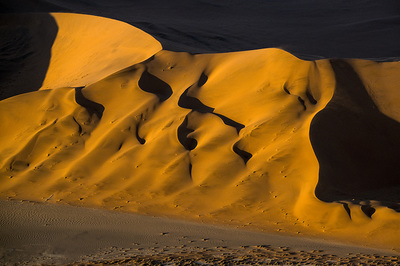 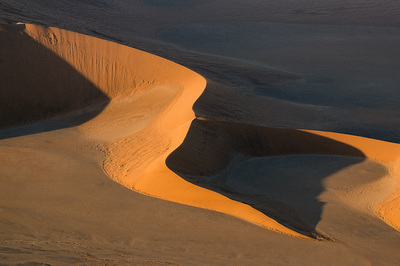 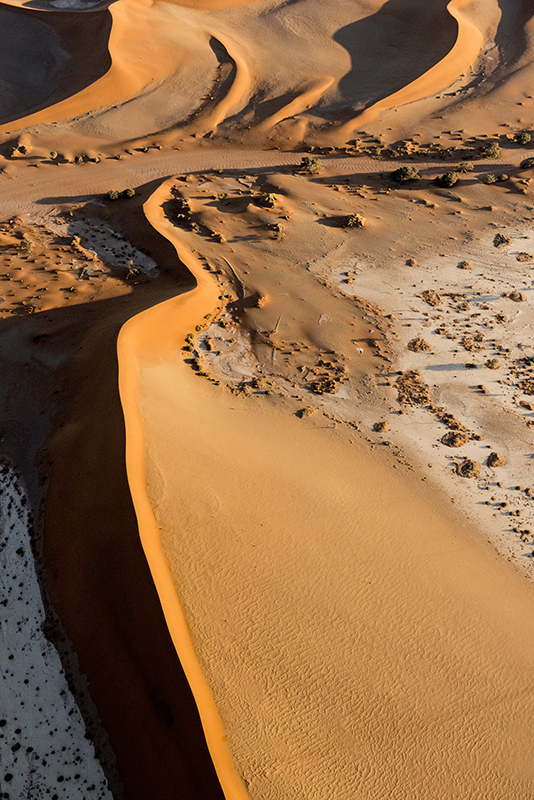 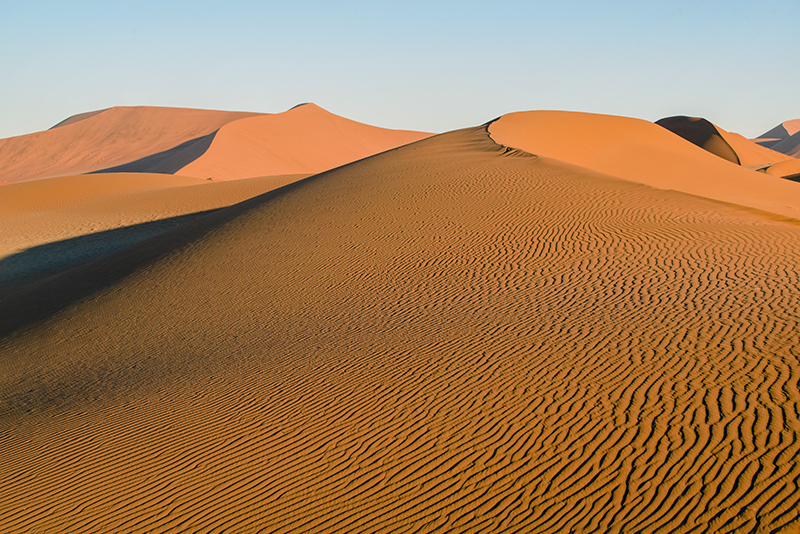 The dunes at Sossusvlei are a major destination in Namibia due to their orange-apricot color at sunrise and sunset. 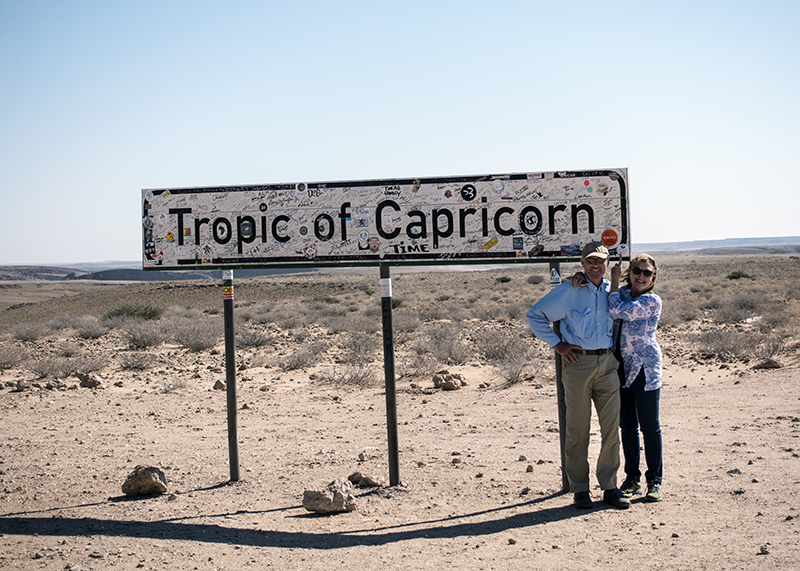 We visited them early and late, including a dramatic helicopter ride at dawn. 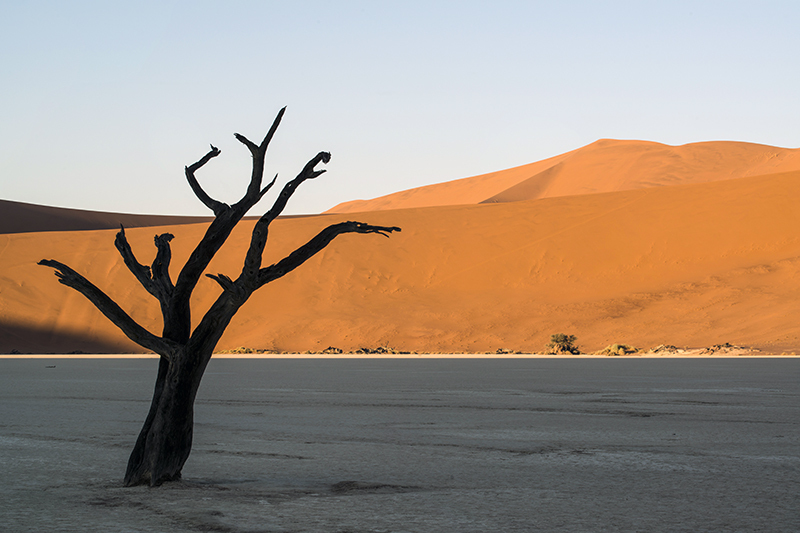 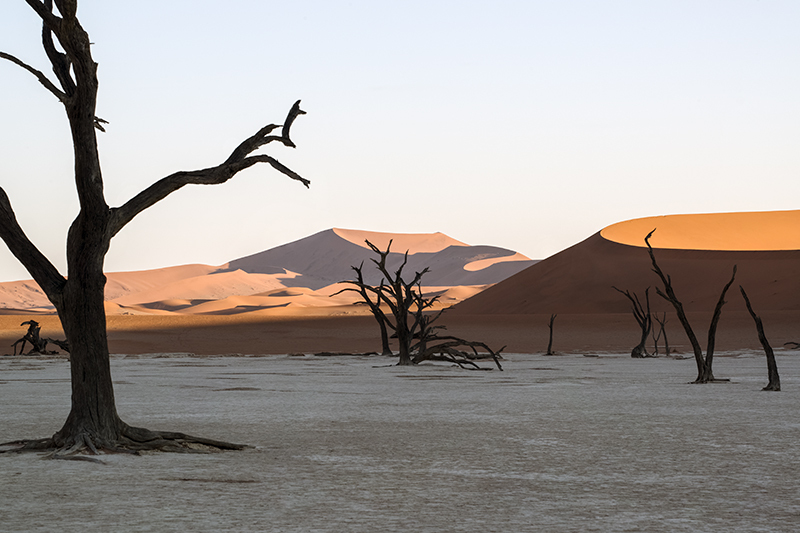 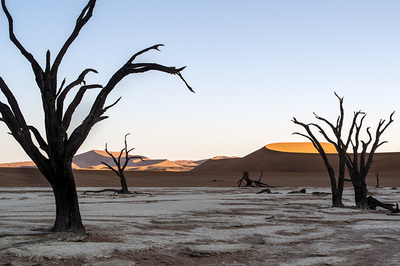 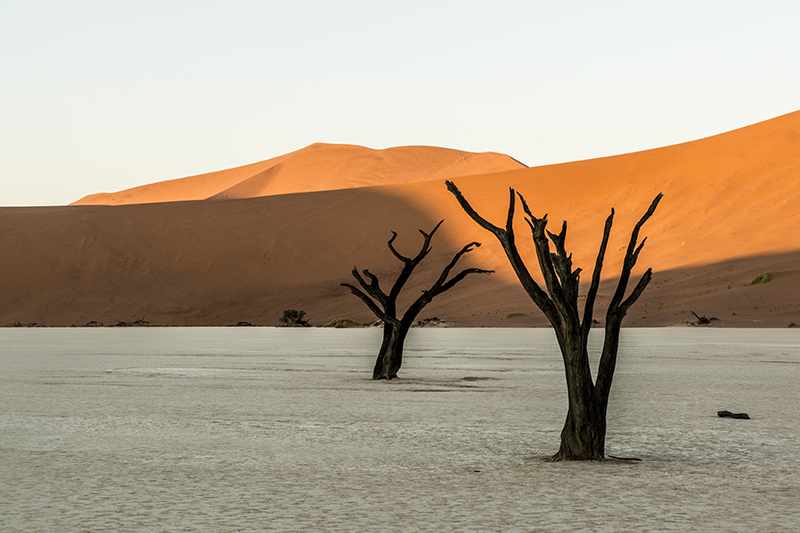 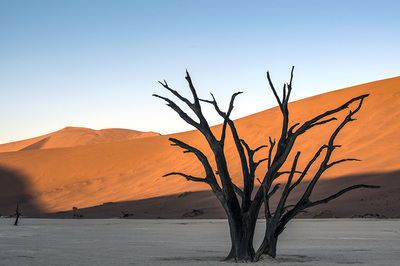 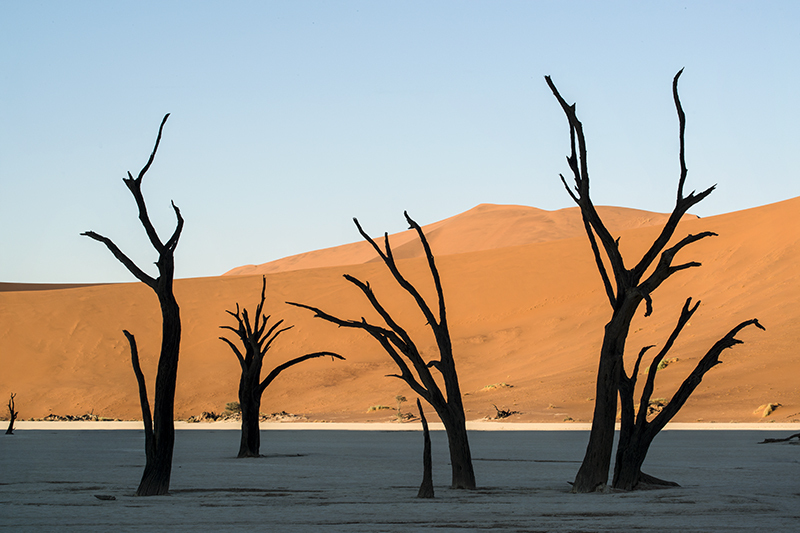 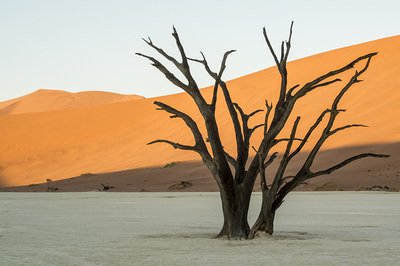 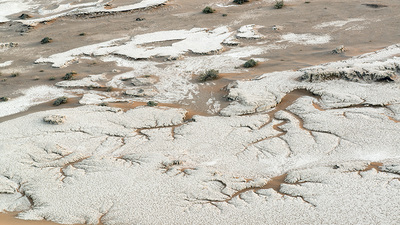 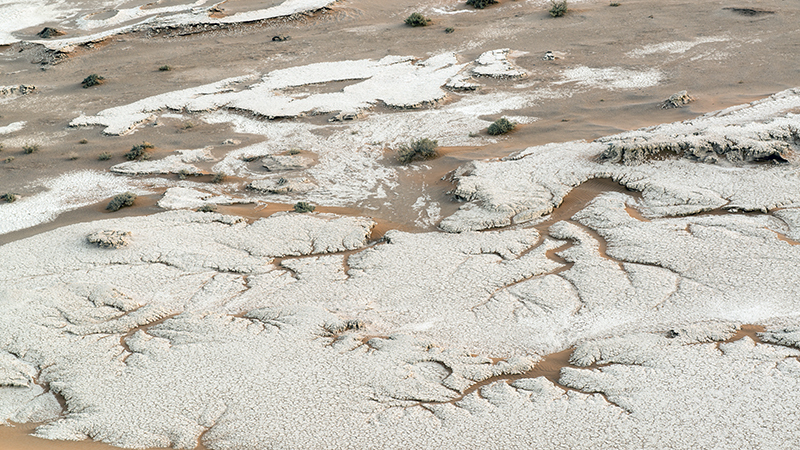 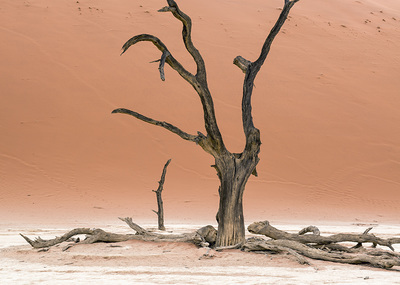 The Deadvlei salt pan contains camel-thorn trees that died 900 years ago and remain standing today. The trees are particularly dramatic as the rising sun illuminates the large sand dunes behind them. 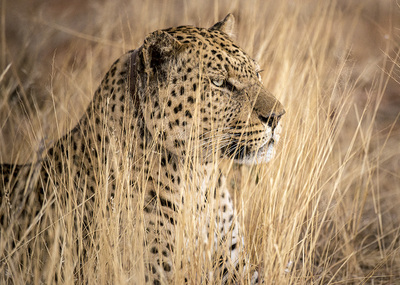 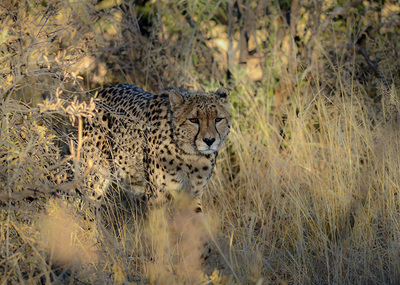 Africat is a non-profit organization in central Namibia that is dedicated to preserving predators in their natural habitat. Africat provides education to the local communities as well as a very large sanctuary (50,000 acres) where predators can learn to hunt so they can be released into the wild. In the past, farmers would poison or shoot cheetahs, leopards, wild dogs and other predators to protect their wildlife, but by reaching out to farmers they are learning to co-exist and participate in the benefits of eco-tourism. 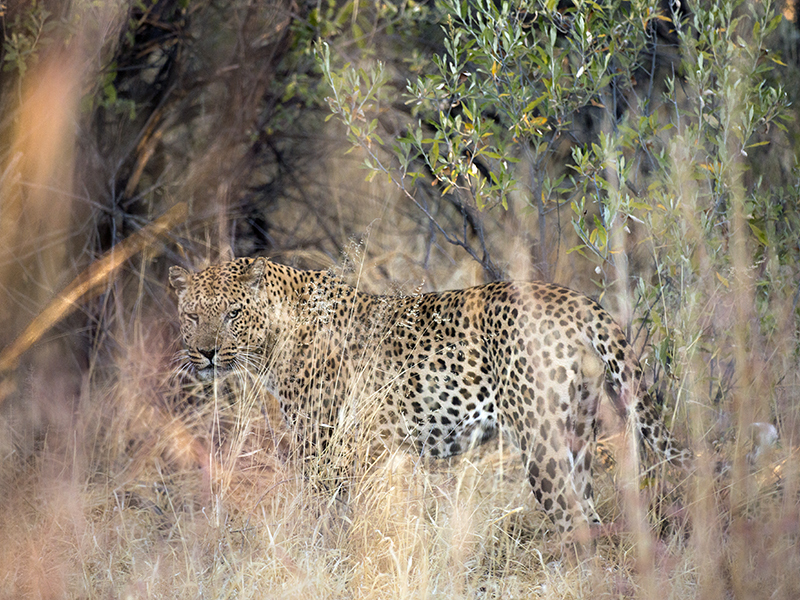 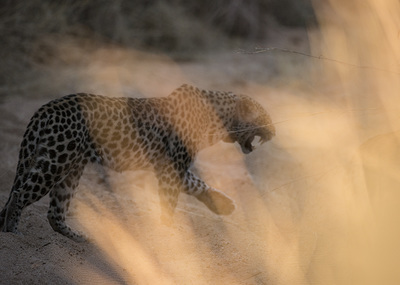 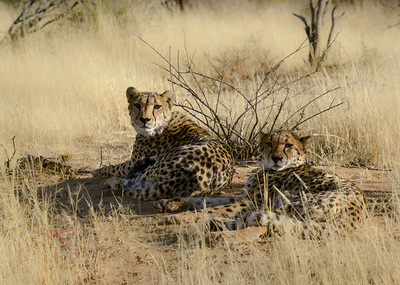 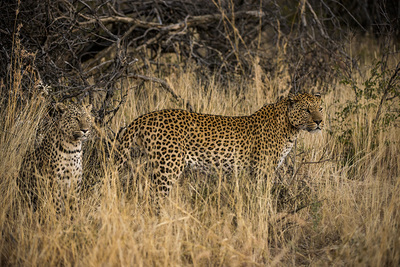 Africat provides an environment where visitors can track cats with collars and some without collars. 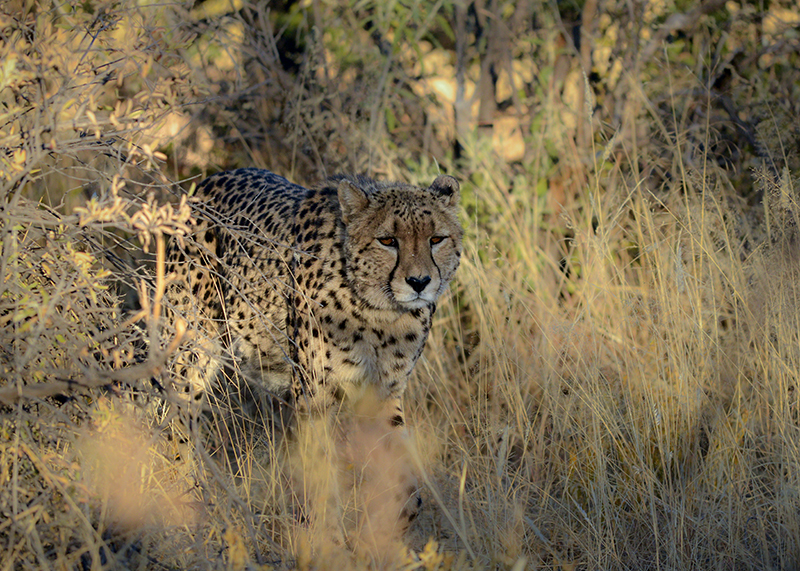 Our most memorable experience was an early morning walk with cheetahs; we were able to approach very close to them as they were hunting in the bush.